Questions are a fundamental part of all communication, especially those we ask in our relationships. Sometimes your questions may touch upon sensitive themes, and, if you want honest answers, you must learn how to ask the right questions...at the right times. Most marital problems can be avoided by not being afraid to discuss the difficulties that naturally arise when spending your life with someone. Knowing how to ask the right questions at the right time is an important skill you must develop as a wife. Asking your husband this will help you gain a deeper understanding of how he views relationships. He may also touch upon some of the ingredients of a healthy relationship which he thinks are important for the long-term health of your marriage. 2. "What are your greatest strength and weakness?" Let’s face it, you’ve wondered how to understand men on more than one occasion in your life. By asking this, you'll have the opportunity to learn about your husband's internal chatter and you will understand him a better way. 3. "What’s one thing you always procrastinate on?" The is a serious question to ask your husband because you want to assess how efficient he wants to be as a man. This will also give you the chance to see what kind of task he’s likely to procrastinate on (given the luxury) and be prepared to cover for him as his wife, if needs be. Your level of tolerance for some things may not be the same as your husband’s. For your marriage to work, it’s important to understand each other’s deal breakers and do everything you can to avoid doing them. The way you show love to your husband may be something he appreciates but not exactly what he needs from you. Remember, you both will most likely have different love languages. When you learn his, be intentional with the way you show your love for him, using his own love language. This is one of the hardest questions to ask your husband but you need to know. His answer will help you understand whether he’s on the same page when it comes to your mutual satisfaction in the bedroom. If he’s not, it’s an opportunity for you to learn to seduce your husband whenever possible. Living a meaningful life together, as husband and wife, is something that all couples aspire to. Are you doing things that add to your relationship or leave you feeling drained? Are you part of something that is larger than yourself? Your husband may have too much on his plate some days. Asking him this and being there to help him wherever possible can make a huge difference in his hectic day. Plus, he’s more likely to reciprocate and help you out when you need it too. Knowing where your husband sees you both in a decade’s time will help him understand what kind of plans he’s got for your relationship. It’s also a great way to let him know about your dreams for both of you and what goals you want to accomplish, with (or without) his help, over the next few years. Use these nine questions to help encourage and maintain an open and productive dialogue, while also establishing trust and strengthening your marriage in the process. When asking the right questions, you should also adopt the right attitude. This way, your questions and the reasoning behind them will come across to your husband effectively. Think about remembering these two important values when you sit down to talk with him. Nobody enjoys conversing with an egotistical person, and even less so listening to them and answering their questions. So come from a place of humility when initiating a conversation of this nature with your husband. Aside from that, remind him that you're not a conceited person so he’ll take your questions, comments, thoughts and ideas seriously. If your husband sees you as a direct person, he'll be more willing to participate in important dialogue throughout your marriage. By keeping the focus on the facts, and not on emotions, you’ll be communicating with him in a way that he’ll relate to. The quality of your marriage largely depends on the way you and your husband deal with the disagreements that naturally arise over the course of a long relationship. But if you’re here because your marriage is on the rocks, remember that it’s not too late to do something to turn things around. In the event that you do run into problems, make sure you have the most reliable resource handy with you: Save My Marriage Today. This system was created to help couples deal with marital problems in the right way. 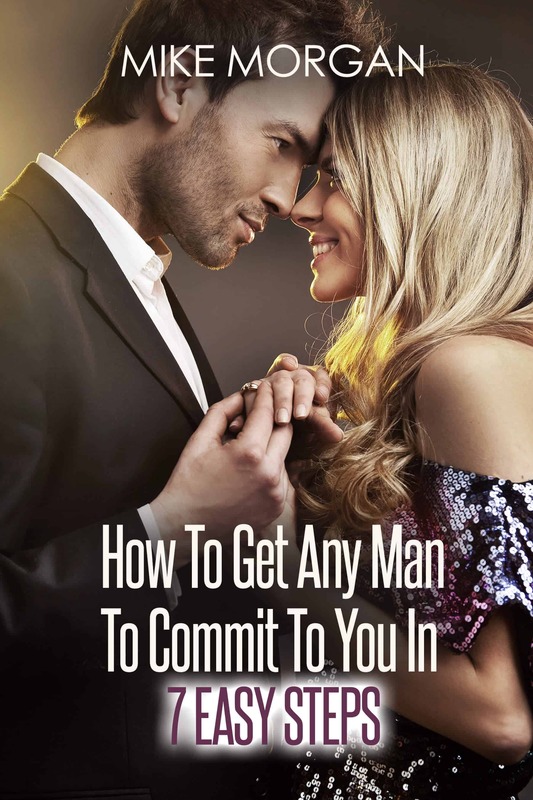 It’s rich in practical advice that can help you and your future husband triumph over the most common pitfalls in every marriage. But don’t wait around. Problems in your marriage have serious consequences. Visit Save My Marriage Today.